Note: This is part 8 of a series on Financial Education for Kids. 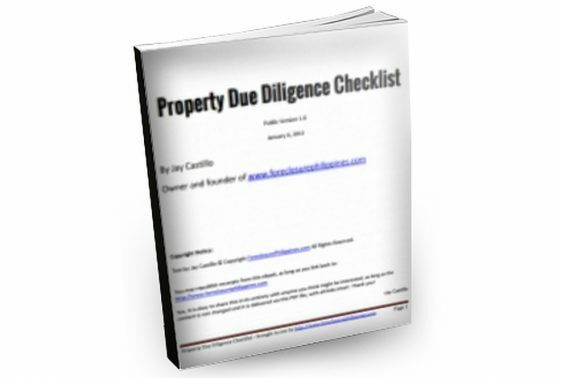 You may access previous articles through these links: Part 1, Part 2, Part 3, Part 4: Summer Activities for 2013, Part 5: Getting Used to a Simple Lifestyle, Part 6: Have a Role Model, and Part 7: Cha-Ching Money Smart Kids. Teaching kids about money is one of the major jobs of a parent. Even if parents do not consciously teach kids about money, children “catch” their parents’ money habits – whether good or bad. Let me share with you a couple of books about this that are worth reading, and one of them can be downloaded for free. 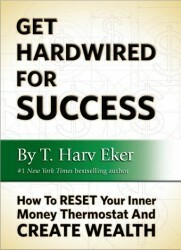 T. Harv Eker’s free e-book entitled “Get Hardwired for Success [How To RESET Your Inner Money Thermostat And CREATE WEALTH]” is quite short and explains a person’s money blueprint in a very simple manner. I guarantee that it’s worth your time. Yes, this is a free e-book, it doesn’t get any better than that. But just like any resource out there, you still have to download it, read and understand the book, and apply what you will learn. 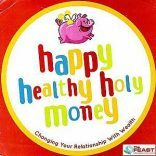 While there are a lot of resources on personal finance over the internet just like the free e-book from T. Harv Eker, I noticed that there is a dearth of materials that deal specifically with how Filipino parents can raise their kids with proper consciousness about money and how to manage it and make it grow. 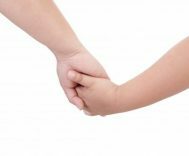 Fortunately for us, there is actually one mommy who has made it her personal life mission to share her knowledge on how to raise Filipino kids with high Financial Quotient (FQ) – Ms. Rose Fres Fausto. I first learned about Ms. Rose when I watched her interview at ANC On The Money on youtube (I love watching ANC On The Money because I really learn a lot from that show). That interview really blew me away! Here’s a mommy who has actually done what I have been dreaming of doing, but about which I had really only untested ideas. Please watch the interview below and see what I mean. All parents want their kids to lead happy lives. No matter how successful they may be in their careers, if their financial affairs are in a mess, they will lead stressful lives, and we don’t want that for our children. Teach children while they’re young, before they develop bad money habits. Childhood money memories will be their foundation as to how they will relate with money in their adult life. Financial Quotient (FQ) is the way you manage your personal finances. You don’t need to be a genius to have a high FQ. Parents have to be the best role models because you cannot teach what you don’t know. Values are more “caught than taught.” Discuss money management and investments and expose your children to it. Knowing how to deal with money should be everybody’s business. Have an attitude of always saving. Live within your means, but always enjoy the fruits of your labor, so you can sustain the habit. The boys started receiving their weekly allowance at six (6) years old. The parents suggested that the kids save 20% of the allowance. Start the kids’ financial literacy journey as soon as they are born. Open a savings account for your child and put all their cash gifts there. When they already have an understanding of money, give them a treasure box where they can put their money. When it reaches around P1,000, they go to the bank to deposit it. When it goes beyond the minimum balance, move the money to higher-yielding financial instruments like stocks. 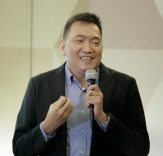 They explained stocks in a simple manner – stock investors are business partners of the big businessmen like the Sy’s, Ayala’s, Tan Caktiong’s, etc. Then look for companies that they can understand (ex. Jollibee), they will feel thrilled to know that they are part-owners of Jollibee. If you are a parent, the stock certificate will state Edric Mendoza (parent) In Trust For (ITF) Elijah Mendoza (child). ATM is called the Small Account because the interest is very low. It’s low because you can withdraw the money anytime and the bank is not given enough time and opportunities to earn from the money. Stocks, mutual funds, UITF’s, etc. are the called the Big Accounts because they give bigger returns. You are giving the bank or the companies ample time to invest it. The interview is only 23 minutes long so if you want to know more about her parenting style and stories, I suggest you read her book “Raising Pinoy Boys.” It can be bought at National Bookstore for P350.00. In the branches I went to, however, I noted that there are only 3 copies so you might also want to get in touch with her at (0927) 5159011 or email her at raisingpinoyboys@yahoo.com to get your copies. The book may also be bought in certain outlets, and ebook versions are likewise available, just check this link. I liked the book so much that I gave a copy each to two of my closest friends. I highly recommend it. Of course, the lessons are applicable to daughters so don’t let the title discourage you. Chapter 6 – Money Matters (Our Sons’ FQ) is unique in that it details how exactly to implement saving (make it regular and automatic), money management, investment, entrepreneurship ideas so that they will be imbibed by kids. There was a short discussion about maintaining your own balance sheet and how it helps the kids remain on track with their savings and investments. 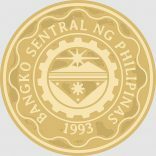 In the website, you can download an excel file which computes how much savings of around P100 a day can grow after many years with the magic of compounding. She also has a weekly column at The Philippine Star called Raising Children with High FQ. 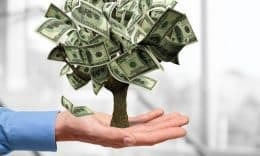 Check out these two articles which I believe may be very helpful: Invest in your Family and Settle Debts Before Investing? 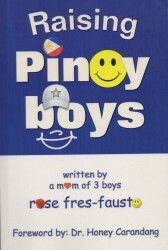 You may also like the Raising Pinoy Boys facebook page so you can be informed of her latest articles. P.S. 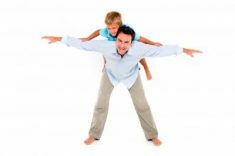 Those who missed the past articles on Financial Education for Kids may click on these links: Part 1, Part 2, Part 3, Part 4: Summer Activities for 2013, Part 5: Getting Used to a Simple Lifestyle, Part 6: Have a Role Model, and Part 7: Cha-Ching Money Smart Kids.